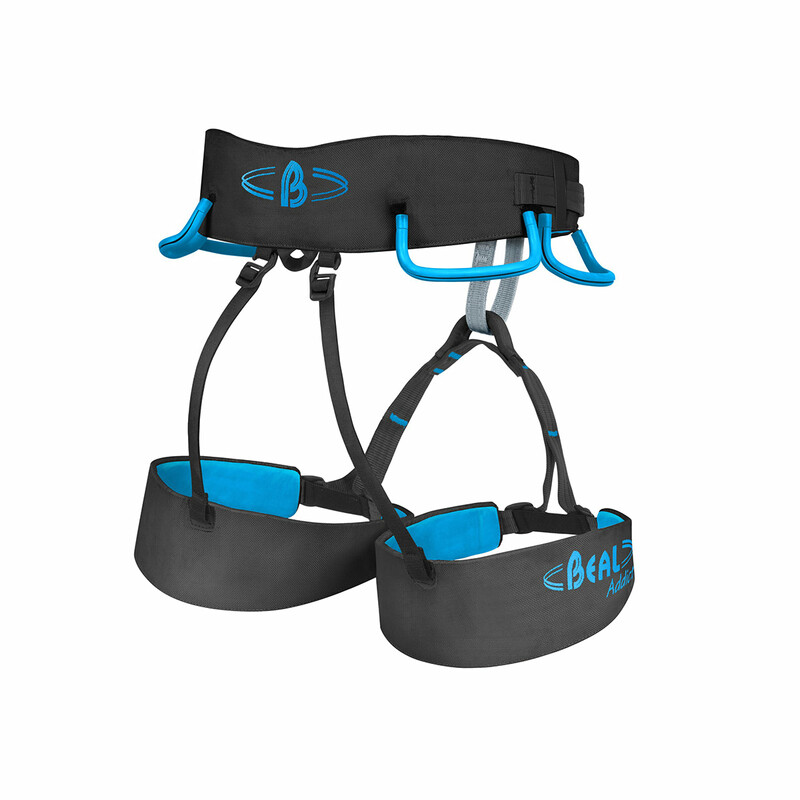 The Beal Addict is a lightweight, versatile and affordable climbing harness that’s ideal for all-round climbing and mountaineering. The Beal Addict uses a simplified version of Beal’s Web-Core Technology, which makes for even and comfortable weight distribution, as well as a light and compact design. 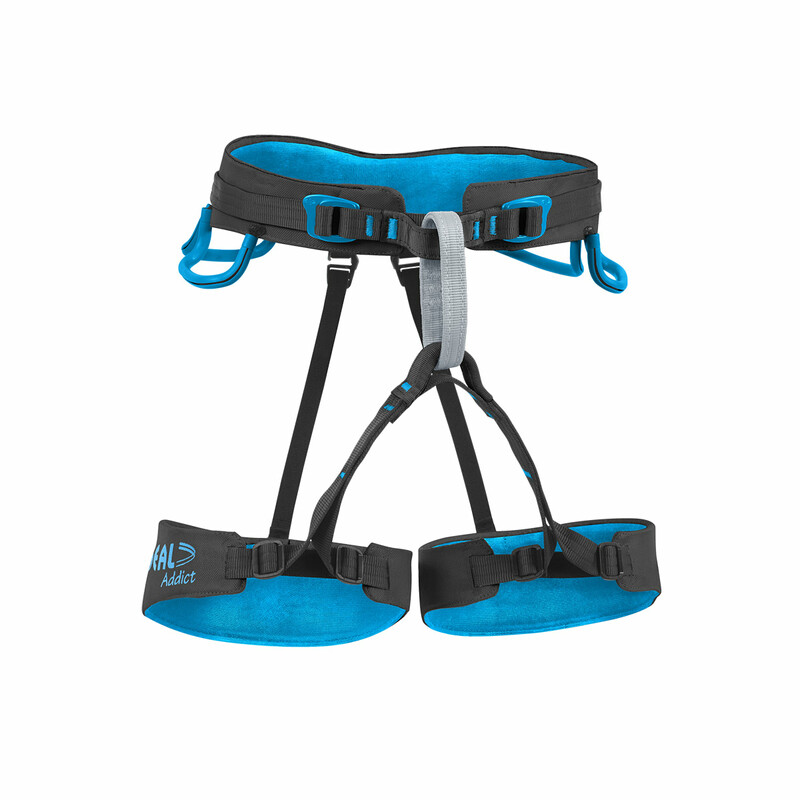 Four gear loops provide plenty of all-round functionality, while the Dynamic Fit (borrowed from Black Diamond) leg loop adjustment system accommodates multiple layers and provides plenty of versatility for whichever kind of climbing you want to do. Size 1: waist 69cm - 87cm, legs 47cm - 59cm. Size 2: waist 82cm - 100cm legs 55cm -67cm. Beal’s Web-Core Technology uses two separate pieces of webbing to make the adjustable waistbelt of the harness, and those webbing pieces are then bar-tacked to either side of a laser-cut, ventilated, wider piece of webbing. This construction method provides exceptional comfort, as well as reducing the cost, bulk and weight of the harness.